Cozy comfort foods that are relatively easy to make during the cooler months always become a staple around here. 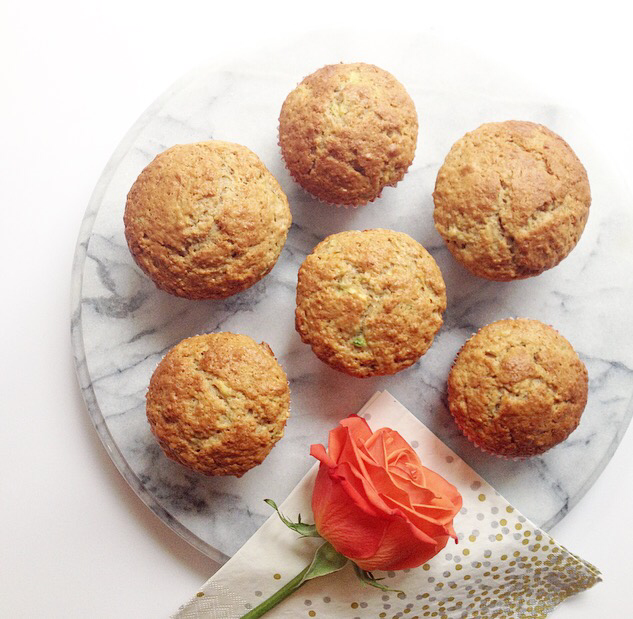 I’ve recently started playing with basic muffin recipes and this one was a hit with our kids. (Somehow 18 went missing in 48 hrs!) These muffins are perfect paired with a hot cup of coffee or tea. I would know. I love taking a simple recipe and finding ways to add in a little extra nutrition. In this recipe you’ll find whole wheat flour, wheat bran, oats and of course a vegetable- zucchini! There is also an extra little ingredient, raspberry yogurt, that adds some extra flavour. See the tips at the end for a dairy free option. In large bowl mix together flours, sugars, wheat bran, oats, baking powder, salt and cinnamon. In separate bowl beat eggs. Mix in zucchini, oil and raspberry yogurt. Add mixture to dry ingredients and mix well. Don’t overmix. Batter will be slightly lumpy. Fill greased muffin cups 3/4 full and bake for 20-24 minutes. Remove from oven and let sit for 5 minutes before removing from pan. ~For a dairy free version, simply remove the yogurt and add in some frozen raspberries instead. Mix in very gently. You may need to use slightly less flour to make sure they aren’t too dry. ~You may have noticed that I like blending flours and sugars, you can just use one of each if you’d like. Just be aware that your muffins will be a little more dense if you use all whole wheat flour and a darker colour if you choose to use all brown sugar. – Substitute coconut oil for a healthier muffin-so good! Maybe you know someone who could use a little extra love? Make a double batch and package up a few as a gift.